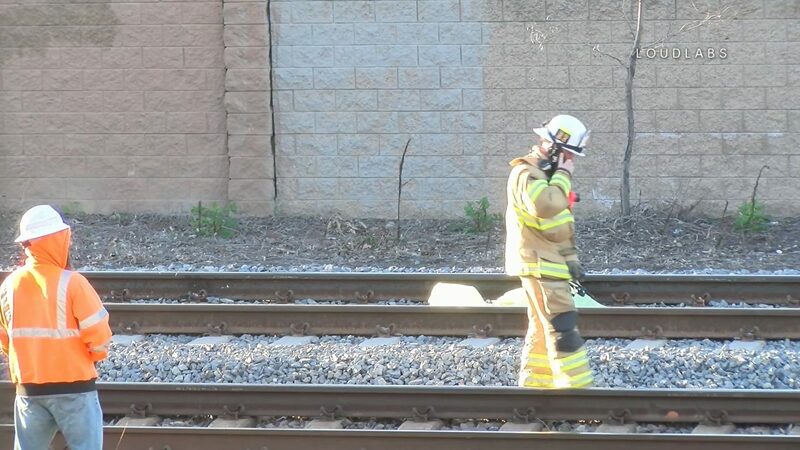 A Metrolink train travelling westbound struck a pedestrian on the tracks early this morning. Anaheim Fire was dispatched to the call this morning who changed the call to a vehicle vs pedestrian. After receiving a statement from the conductor of the train the call was then changed back to a train vs pedestrian. Orange County Sheriffs are on scene investigating. The train service for Metrolink and BNSF will be shut down in both directions until further notice.